Many people hate January for the bump of reality it brings after the joyous Christmas period where you’ve done nothing but celebrate. There’s limited daylight hours, you feel like you’re completely broke and Summer seems a long way away. It’s time to reverse that negative feeling and see January in a whole new light. 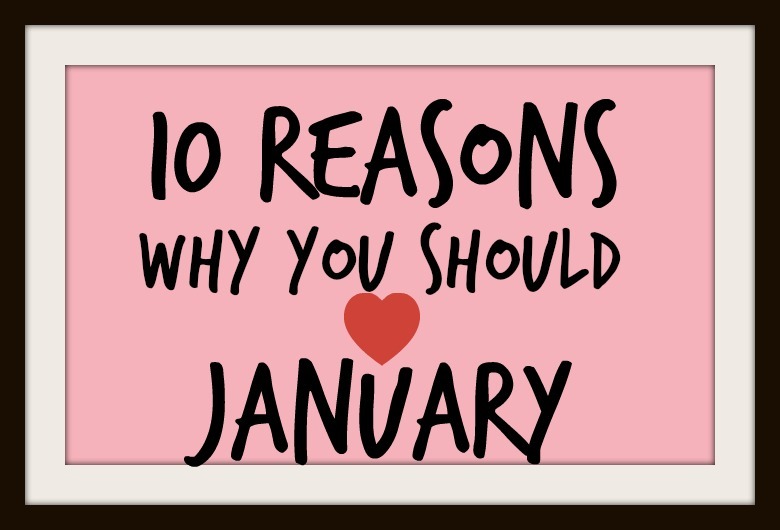 Here’s ten reasons to love January. You can totally sit in front of the sofa in your warmest dressing gown, fleece pajamas and teddy slippers and watch Netflix all night without feeling like you’re missing out. It’s only dark, cold and miserable outside after all! Whilst Christmas may have eaten a large chunk of your money if you have some left over (congrats) you may want to invest in the sales. In January retailers understand people don’t have much money to splash so the sales are a great way of drawing people in. Take the chance to invest some money on yourself, even if it’s something small, you’ll feel so much better for it. It may sound corny but January is the beginning of a new month of a fresh new year and gives you the opportunity to rid yourself of everything that is bad in your life. Start as you mean to go on and leave the mistakes and bad memories in 2015. A new year means a new holiday allowance! The best bit about a new year in my opinion is knowing that you have a years worth of holiday allowance to spend as you please. Why not go somewhere you’ve always dreamed of whether it’s Hawaii or the Amazon Rainforest. Lots of travel agencies have fantastic deals at this time of year and you have plenty of time to pay it off. Win win. Want some love in your life? January is the perfect time to meet a new partner as singletons want to start the new year by finding someone to love. Online dating sites like Plenty of Fish are a great way to start your venture into online dating. You’ve probably realised by now that the new year brings the return of all your favourite TV programs. Whether you’re a Inspector Morse fan or love a bit of Brooklyn Nine Nine, this is bound to rid you of the boredom from too many Jeremy Kyle repeats. As the month draws on the days and nights are slowly starting to get longer, letting more light into your life. This is bound to make your morning commute a lot easier to handle! Whether your a Brit awards or Oscar fan, a new year brings all the fun and drama of the award season. Keep your eagle eyes out for any dress faux pas or major meltdowns! Want that new job? Go for it! January is perfect if you want a new challenge in your career as companies generally have a open budget and are looking at employing more staff. Review your CV and aim for that job that makes you want to go to work in the morning. By the time January is in full swing, February is just around the corner. What does February mean? Pancake Day. Enough said! "Nail of the day: Rimmel Rita Ora nail varnish in Glaston-berry"
"P.S. Love Matte Long Lasting Lipstick in Femme Fatale"